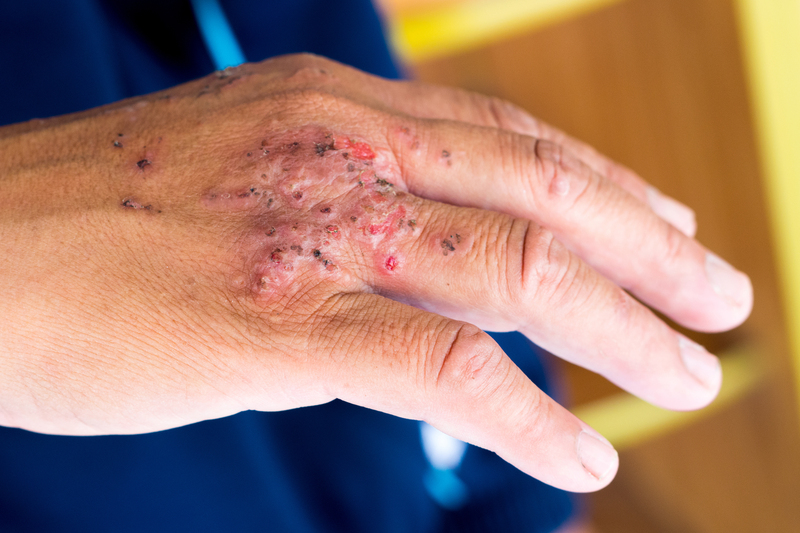 Scientists at the Perelman School of Medicine at the University of Pennsylvania say the use of topical antibiotics can dramatically alter communities of bacteria that live on the skin, while the use of antiseptics has a much smaller, less durable impact. The study (“Topical antimicrobial treatments can elicit shifts to resident skin bacterial communities and reduce colonization by Staphylococcus aureus competitors”), published in Antimicrobial Agents and Chemotherapy, was conducted in mice in the laboratory of Elizabeth Grice, Ph.D., an assistant professor of dermatology, and reportedly is the first to show the long-term effects of antimicrobial drugs on the skin microbiome. In the gut, research shows medication that alters microbial communities can lead to complications like Clostridium difficile, which causes diarrhea and is the most common hospital-acquired infection. But when it comes to the skin, the impact of these medications on bacteria strains like S. aureus, the most common cause of skin infections, is still largely unstudied. “We know antibiotics and antiseptics can be effective in stopping the growth of certain bacteria, but we wanted to know about the larger impact these treatments can have on the resident microbial communities on the skin,” said the study's lead author, Adam J. SanMiguel, Ph.D., a researcher in the Grice Laboratory. The investigators similarly evaluated antiseptics, using alcohol or povidone-iodine and comparing those treatments with two control groups—mice treated with water and mice entirely untreated. They found neither antiseptic caused responses similar enough to cluster the mice together into groups based on their microbiomes. They also found no clear difference between the treatment groups and the control groups when comparing the relative number of individual bacteria strains.